Welcome to Sanctuary Spa, where mind, body and soul are nourished. Sanctuary Spa is a tranquil and intimate wellness center offering you holistic and aromatic spa services performed by a team of experienced professionals. We rescue you from the stress of current life and help you recover and repair with skin, body and holistic energy balance services. Our therapists soothe and heal, balance and enhance with progressive treatments and services that are inspired by natural plant and flower essences. Guest service is the most fundamental element of our spa philosophy and the heart for our success. We provide extraordinary guest services and creative excellence for everyone that visits the spa. As a team, we contribute to the natural restorative process of your skin and body by offering you a holistic and aromatic spa experience which promises to be something truly extraordinary. We are dedicated to your health and vow to give exceptional treatments which will enhance the quality of your life. Sanctuary Spa provides unique products and services specifically designed to provide you with a respite from the stresses of your daily lives. We strive for excellence and believe that responding to your needs in a professional manner is how we earn our reputation. 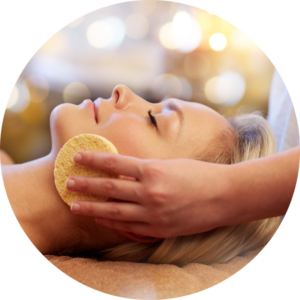 Sanctuary Spa is committed to offering guests a holistic and aromatic spa experience providing facials, massages, and body treatments utilizing essential oils and hydrotherapeutic principles. We are dedicated to your health and giving you exceptional treatments which will enhance the quality of your life. We focus on providing a true therapeutic experience. Whether you need relief from pain, release of tension, stress reduction, orsimply to relax and feel your best, Sanctuary Spa is committed to your well-being, nourishing your mind, body and spirit. Listen and Learn: We spend time with you to understand your concerns, your body's problem areas while learning about your wellness goals and expected outcomes. Customize: Technicians specialize in combining products and techniques from several types of modalities to provide you a personalized experience. Communicate & Collaborate: Our technicians check in with you before, during and after your service to ensure that you are comfortable and your needs are met. Continue at Home: Your skin and body care needs don't start and stop when you're in our spa. We'll make recommendations to you so that you may continue your quest (between spa sessions) for beautiful skin and healthy body at home.